Day Trips – Shannon Airport Taxis will help you chose the Top Five Must do Day Trips using Limerick as a base. The surrounding region and West of Ireland is easily accessible – from the Wild Atlantic Way along the west, stretching into Ireland’s Ancient East. It’s an ideal base why not explore? Day Trips 1 – The Cliffs of Moher on the Wild Atlantic Way is one of Ireland’s top tourist attractions. The cliffs are beautiful and they have appeared in many movies, including Harry Potter & the Half-Blood Prince and the movie classic The Princess Bride. The journey to the cliffs takes in interesting villages and many of our visitors love to finish the day with great food and the odd pint in Doolin. From Limerick it takes just 1hr 15 mins driving. 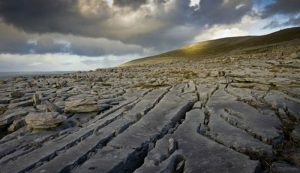 If you continue on another 30mins you reach the Burren National Park – the Burren is an area of nearly 125 square miles of limestone rock. It is a geologically distinctive landscape on the western seaboard, which was formed from an accumulation of fish bones and seashells, when the sea covered this area many millions of years ago. The unique flora and fauna of the area attracts botanists from all over the world, so don’t forget to pack your walking boots and enjoy the numerous walking trails here. 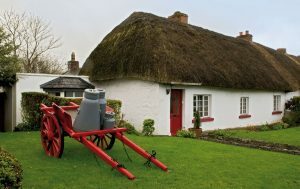 Day Trips 2 – Adare is one of ‘the prettiest village in Ireland’ and it’s easy to see why. Located 15 minutes from Limerick City, the main street is punctuated with medieval monasteries, beautiful stone buildings, ruins and a picturesque village park. Streets are lined with the original thatched cottages which were built in the 1820’s by Lord Dunraven. Some are now restaurants, fashion boutiques and arts and crafts shops. At one end of the village stands Adare Manor which is a Neo-Gothic Manor house. These extensive grounds have played host to the Irish Open golf tournament and the star-studded JP McManus Pro-Am (returning again in 2020). 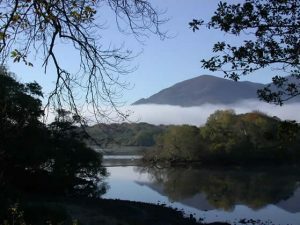 Day Trips 3 –Killarney National Park is 26,000 acres of mountains, lakes, woods and waterfalls giving this area a special scenic beauty. In 1981 UNESCO designated the park a Biosphere Reserve. It has national and international importance with such species as the Native Oakwoods and Yew Woods together with an abundance of evergreen trees and shrubs. The Native Red Deer are unique in Ireland with a presence in the country since the last Ice Age. The late 19th century Muckross House and Gardens is the focal point of the National Park for visitors. Driving from Limerick takes just 1hr 45mins. Day Trips 4 – Loop Head has the Atlantic Ocean on one side and the Shannon Estuary on the other and is in the centre of the Wild Atlantic Way. From the beach at Kilkee, to the fishing village of Carrigaholt, the communities of Moyasta & Querrin, to Kilbaha – the most westerly village on the peninsula. Loop Head Heritage Trail has won several Irish and international awards for responsible tourism. 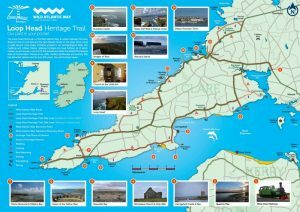 The trail at Loop Head features Carrigaholt Castle and Bay, Bridges of Ross, Kilkee Cliffs and Pollock Holes (Wild Atlantic Way Discovery Points), Church of the Little Ark (Signature Discovery Point), Bishop’s Island, Dunlicka Castle, Loop Head Pilots Memorial and Kilbaha Bay, Grave of the Yellow Men, Rinevella Bay and Submerged Forest, Kilcredaun Churches and Holy Well, Querrin Pier and the West Clare Railway. There are many points along the way to stop and take in refreshments. Driving from Limerick takes just 1hr 15mins. 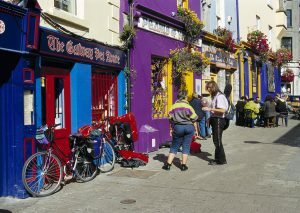 Day Trips 5 – Galway which is Ireland’s fourth city and just 1hr 30mins from Limerick. This is where the River Corrib meets the Atlantic in this beautiful harbour city on Ireland’s west coast. The city’s hub is 18th-century Eyre Square, a great meeting spot which is surrounded by shops, and traditional pubs many offering live Irish folk music.